Cal Canela is a rural cottage with accommodation with a capacity up to 16 people, ideal for groups of friends or families who want to make a meeting, a celebration or simply enjoy a few days of rest in a quiet and isolated spot and surrounded by nature and silence. The views during the day and especially at night on the area of Urgell are excellent. 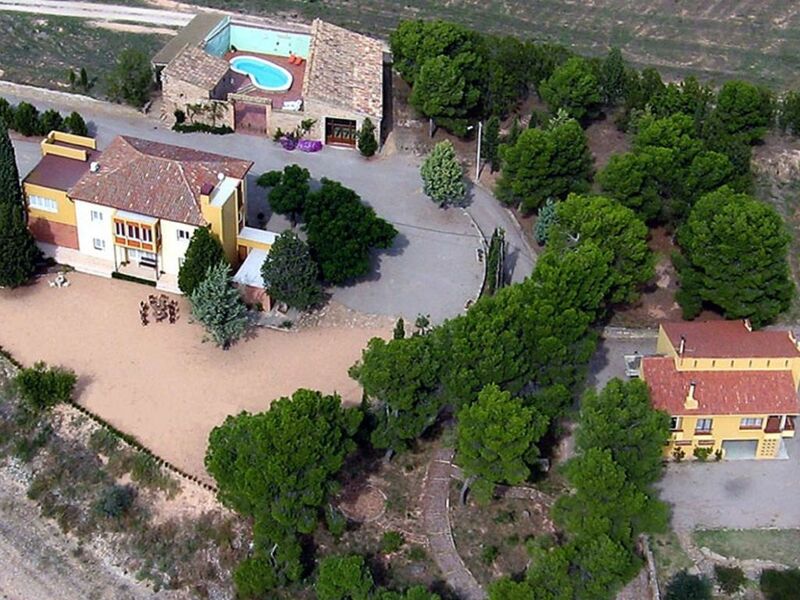 “Finca Cal Canela” is located in the Serra d’Almenara (445 m.), Urgell region in Catalonia (Spain). The area is a SPA (Special Protection Area for birds) in a protected area (2000 Nature Network) by the European Union, it is the first pre-Pyrenean relief after the great lowland area of Urgell. The activities are the production of cereals, fruit and beekeeping. Agricultural activity is complemented by renting houses and common areas that are within 300 m. from Almenara Alta, one of the smallest towns in Catalonia, consisting of the church of Sant Salvador and five houses surrounding a single square dominated by a circular stone well.